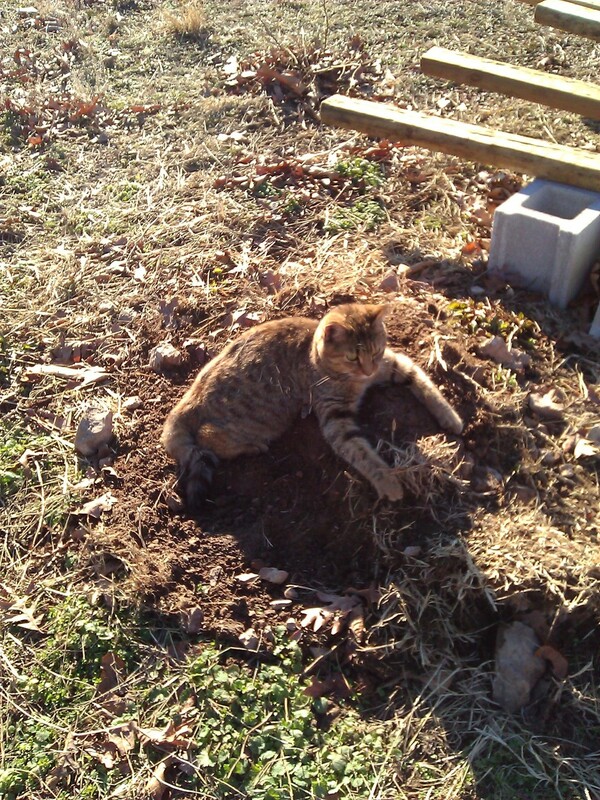 Posted on February 11, 2013 by BAFarm	• This entry was posted in Composting, Gardening, Homesteading, Renew/Recycle and tagged Composting, gardening, Organic gardening, recycling. Bookmark the permalink. I love composting. And actually, you’re wrong about the dog/cat poo. The reason it can be dangerous is because the resulting soil can actually carry the diseases that the animals carry that can be passed onto humans that touch the dirt such as coccidia or ring worm. The same reason they say not to compost raw meats. However, a nitrogen-rich compost pile that isn’t turned and allowed to age and compost naturally for a year actually kills every parasitic pathogen but ringworm eggs. And I don’t know about you, but my dogs don’t have ringworms. Or coccidia. Or tapeworms. Or any other diseases for that matter. That makes total sense about the dog/cat poop. We’ve had it in it’s own compost pile trying to figure something out to do do with it-sounds like it will eventually be good compost too-just need to leave it alone. Thanks for the info and suggestion!!! It’s REALLY high in nitrogen so it’s best to toss some carbon on the pile like straw to help it decompose properly and grow the right micoorganisms. Good luck!